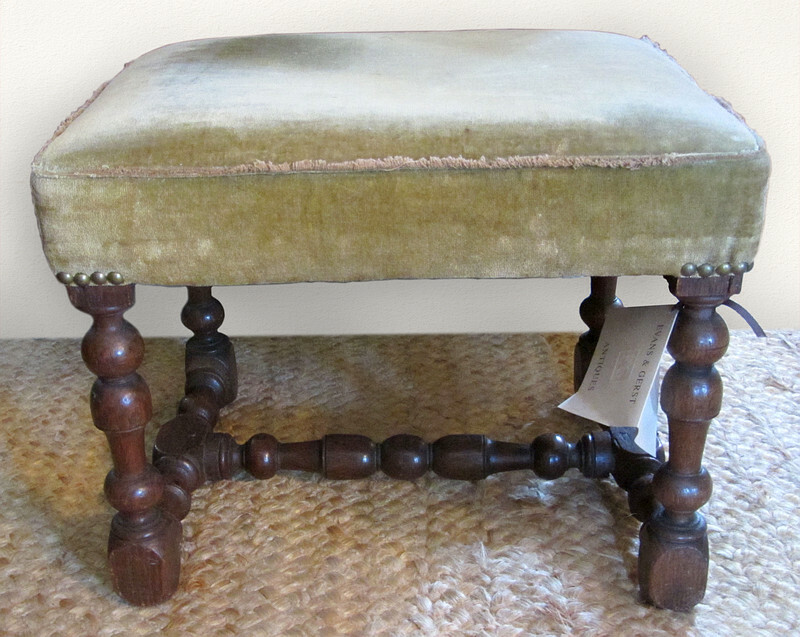 English carved oak joint stool. Frame is turned and blocked and has a stretcher. Worn velvet cover later.